I’ve climbed several volcanoes over the years, but scrambling up the rock-covered steep side of Pacaya, an active volcano in Guatemala, was the most memorable one. The closer we came to the top, the hotter the ground became, until we finally saw glowing lava and were even allowed to climb into a small hole not far from the peak, which felt like a sauna and had me fear my camera lens as well as the bottoms of my shoes would melt. When we were resting on top of the volcano before making our way back down, some people were even making s’mores over the lava heat! Experiencing an active volcano that way was an unforgettable experience, and Guatemala is still one of the most beautiful countries I’ve visited. I was wondering why this experience popped into my head before my trek through the Peruvian Andes, even though that one climaxed in reaching Machu Picchu, the ‘lost city of the Incas‘. 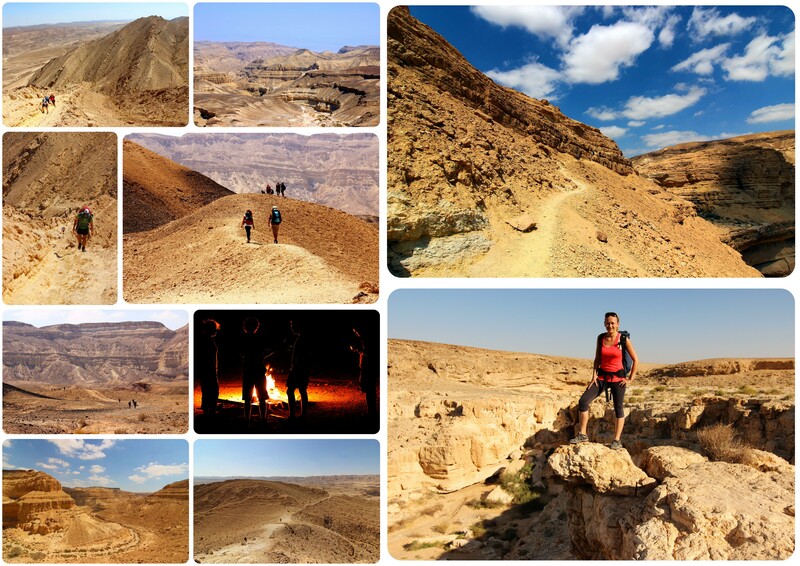 But while there wasn’t a wonder of the world waiting for me at the end, the multi-day trek through the Negev Desert tested me like no other hike has tested me (up to now): the almost unbearable heat, the relentless sun, nothing but rocks and sands for miles and miles. It was the first time that I slept under the desert sky, filled with millions of stars – a sight I will never forget. Walking for days through this barren and yet bizarrely beautiful landscape that doesn’t allow any life to flourish was a humbling experience and I was proud that I managed to finish the strenuous trek. Even though this housesit wasn’t always easy, it is one of my favorite housesits to date and I would go back in a heartbeat. (Side note: Housesitting in itself should be one of my five favorite travel experiences because it has been the absolute best thing I’ve started doing when I hit the road and has allowed me to live like a local in so many places around the world rather than just passing through as a tourist). The beach house was an off-the-grid house in Mexico, a few miles north of the border to Belize, and came with its own private stretch of white, powdery sand beach and the Mesoamerican Reef right in the backyard. I could literally run into the ocean right after waking up and snorkel through the colorful coral life of the world’s second largest reef. There was a local caretaker who would climb the palm trees to cut fresh coconuts straight from the tree, I made Huevos Rancheros every morning for two months straight, and the dog I was taking care of was adorable. The downsides of the housesit weren’t insignificant (escaping a hurricane, terrible wi-fi, no cell phone reception, basic living, lots of responsibility, and tears when I had to leave the dog I’d fallen in love with) and yet it was one of the most amazing experiences of my travels. 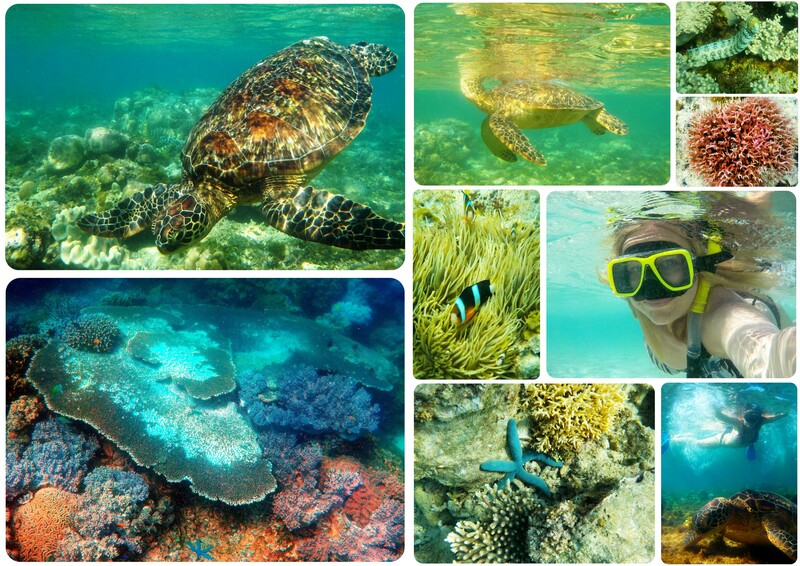 Had I written this post before February 2015, I would have said snorkeling in Belize was one of my all-time travel experiences – but then I went to the Philippines and swam in some of the most breathtaking snorkeling spots in the world, including getting close to several sea turtles (an experience that was equally as awe-inspiring on land, when I witnessed a turtle arribada in Costa Rica in 2012). Snorkeling off the coast of Caye Caulker, Belize, is still the best snorkeling experience I’ve had so far, simply because you get to swim with all of these ocean creatures: sharks, sting rays, turtles, manatees, hundreds of colorful fish and along the same stunning reef I mentioned above. I’d go back to Belize just to snorkel there again, but to be fair, I also loved snorkeling in the Red Sea and in Thailand, even though the marine life in Belize is unbeatable. New York City is without a doubt my favorite city in the world, I love everything about it – the diverse neighborhoods, the fact that every language of the world is spoken there, the amount and variety of ethnic food jaunts, the fact that you never run out of things to do, the architecture, the parks, the hidden speakeasys, the food markets and flea markets, the summers, the fact that I can travel within the city limits and feel like I’ve left the country, the vibrant atmosphere, Broadway plays, the street art, the fact that I could never run out of things to do there and that the city is constantly changing and evolving. 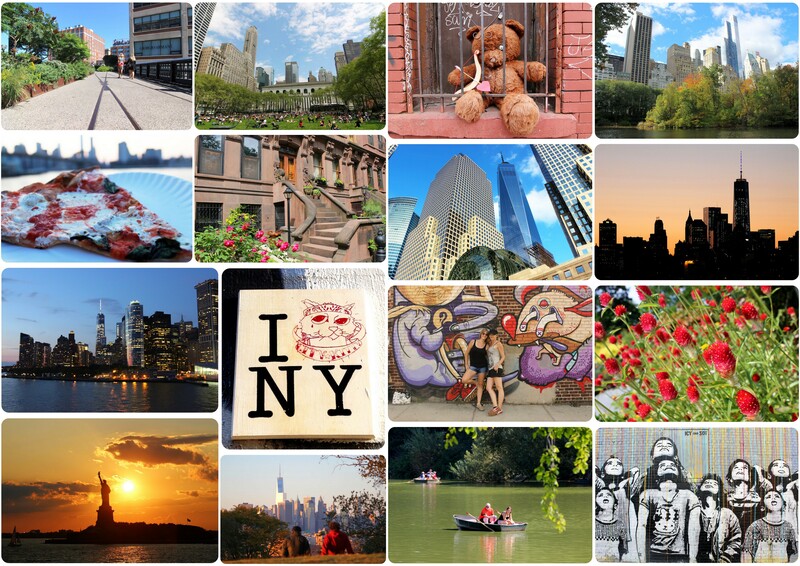 After spending two months in New York in the summer of 2013, I realized just how much I loved the city and that I wanted I spend more time there – ideally on a regular basis. Last year, I initially came to New York for a 1-month housesit, and ended up spending nearly five months in the city – a dream come true. I spent more time in New York than anywhere else in the past five years, and I’ve considered shipping my moving boxes over there several times. But then I remember that New York has this thing called winter, something I’ve been successfully avoiding for half a decade now. So for now, I am hoping to continue spending the summers there and would be lying if I said that my months in New York weren’t my absolute favorite travel moments. 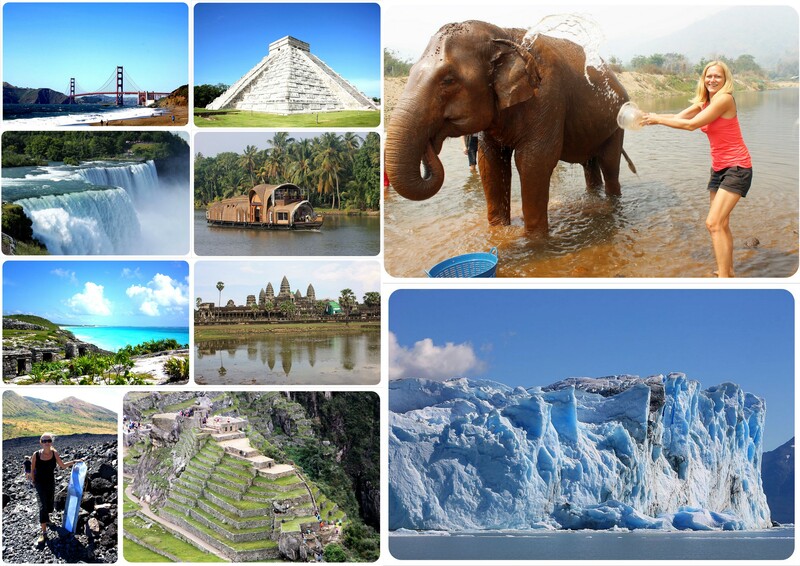 Now I’ve shared my favorite travel moments with you – I’d love to hear your favorite travel moments in the comments below! Like you said, it’s so hard to narrow it down! 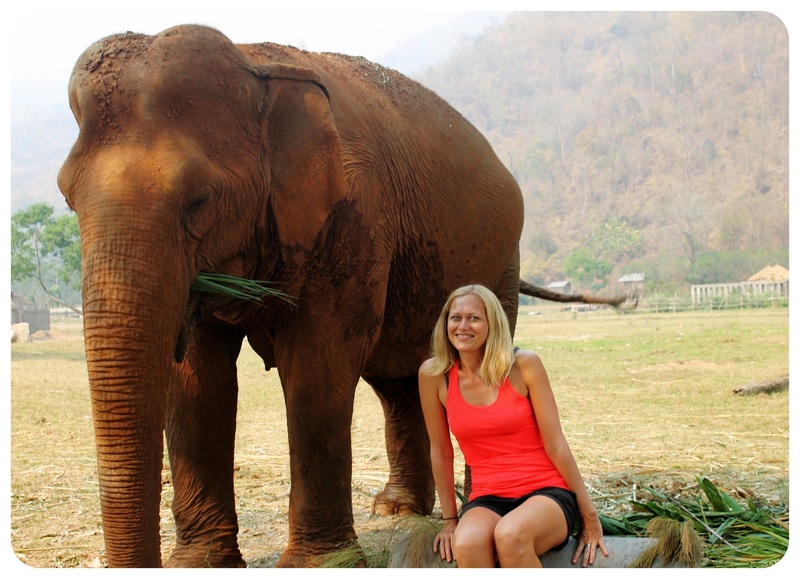 One was definitely hanging out with Elephants in Chiang Mai (not riding them, thanks for emphasizing that!) and also going on a Scottish Highlands tour. But there have many so many good times, it’s hard to keep track! Hopefully it stays that way! Allison – I am so happy to hear that you also loved the Elephant Nature Park 🙂 Road tripping through the Scottish Highlands is also an all-time travel highlight of mine, but since I didn’t do that in the past five years, I didn’t mention it. Thank you, Susanne 🙂 Definitely unforgettable moments! 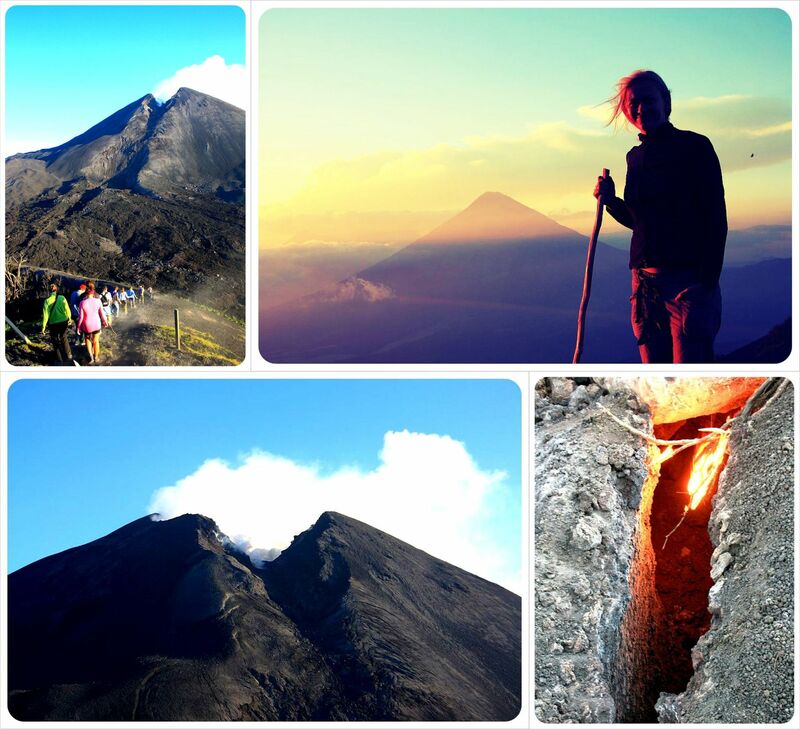 Definitely, spending all night on top of Volcan Pacaya is one of the best travel experiences on my list too! Sunrise was unforgettable. It’s good to know that travelers can still experience that force of nature, as I climbed it back in 1975. Wow, I can’t believe you did that hike 30 years ago!! It’s incredible that travelers can still experience it but I think your hike was much less crowded than mine – when I hiked up there, there were several groups making their way up, I bet you had the volcano almost to yourself back in 1975, Steve! Your article has brought nostalgia tears to my eyes! I was born in Guatemala and adore my country of birth with all of its exquisiteness and challenges. Its heartbreaking, yet beautiful and fascinating history, its kind and friendly peoples and oh, don’t get me started with Guate’s landscape! Have stayed in Majahaul and found your blog a few years back about you staying near by, so lovely and inspiring. 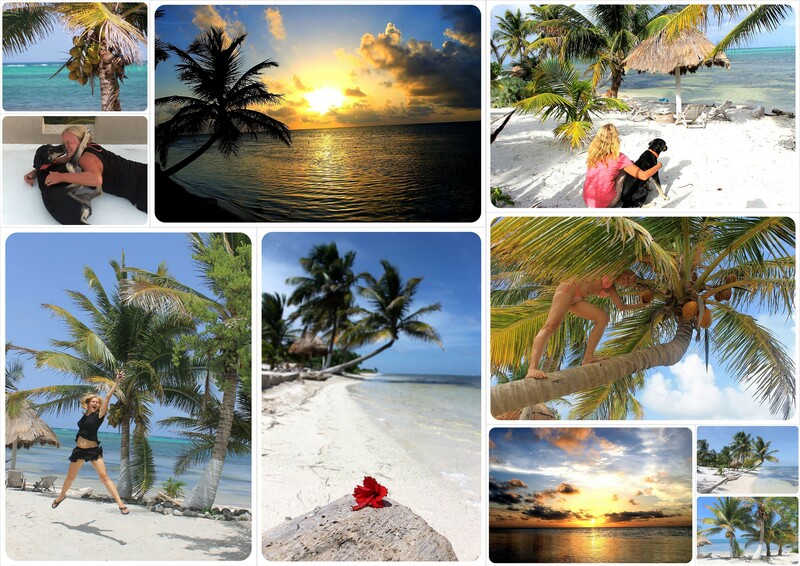 Also, I have stayed in Caye Caulker and when doing research, encountered your blog for the very first time. We decided to trust your advice and knowing how much you loved it, made our decision about going easier. I haven’t snorkeled in Asia but I loved snorkeling around here immensely, especially because one can swim off any dock and find wonders. The Lazy Lizard still is one of my most memorable bars. And now for the kicker and this is why your post has touched me so, I’ve been living in New York City for 23 years and I adore it. I love everything about it, even when those terrible rush hour train rides test my limits, I think: “Hey it’s New York City and there is nothing like it!” With all its challenges, I still would not live anywhere else. I even love its winters! Seeing the city covered in snow (at least for the first 12 hours, then the snow gets dirty) can be so lovely and magical. Vanessa – reading your comment gave me chills! Wow!! It seems like we like very similar things! I did actually spend two days in NYC in the winter one year – the day when the first blizzard of the season hit. I took my camera out and headed to Central Park, and you are right, it was magical. The next day I was already over the snow though 😉 Maybe I can figure out a way to make NYC my summer base and escape to Mahahual during the winter… that’d be perfect!! Dany, thank you for replying. You definitely live my dream life, and my attachment to some people/things in NYC is what keeps me from following your steps. Oh well, maybe one day! Sounds like you’ve had a great time over the past five years. All of it looks amazing and it must be such a great experience. So many of the things you have done that I would like to do myself, especially spending time with Elephants (and yes not riding them). Hi! 🙂 Ich hab gelesen, dass du 5 Monate in NYC verbracht hast und wollte dich fragen, wie du das mit dem Visa gemacht hast. Du hast einen deutschen Pass, oder? 🙂 Ich dachte man darf dann nur 90 Tage bleiben.